“Look around you at the heavy red sun and the ruins of the past. Can you hear the whispered tales of the Beloved Dead? Their stories of the wars with the Mantis Men, those crumbling bones silent in the necropolises of the cities you walk every day? Your grandfather’s grandfather’s grandfather was not even a child back then, nor his parents a thought in their parents’ minds, infants playing in the sand of five hundred years ago. Think back further to the glories of Amadorad, when the Empire’s youngest child entered its ranks. People like you and I, removed across the gulf of a thousand years. Before that came the years when Kados was born again in stone. Those timeworn steps you climbed to this tower were once new and bright, two thousand years hence, after an age of ruin! A millennium before, and there are forests where there are no forests now, lakes where there are no lakes, towns where there are no towns. Yet the cities endure, and the people within, and though their clothes and words differ, they are our forefathers and Sakari like we. It is the celebration of the new cycliad, when Korudav’s walls shone and Amadorad was only a dream. That new cycliad was the fifth of the Venerable Autocracy of Sakara, oldest of the Springtide Civilisations. Fifteen thousand years! An unimaginable span of time – so many lives to weigh on our minds as we dream. The dead outnumber the living! There is one who has witnessed it all. One who lives still, who has always lived. Our beloved God-Emperor, Ankadar, Venerable Autocrator, Lord of All. Love him and fear him, for he judges the quick and the dead! Those days are like myth, as unchanging as mountains, but real people lived through them like you and I. But what went before? What lies in the darkness before the start of Spring? You must prepare yourself. I wonder if your mind can comprehend what you are about to see? Before Sakara comes great darkness. Generations pass in the savagery of the Time of Snows which followed the Doom of Nayarak. But – see! – a distant light. We are through – like emerging from a cave into the light of day – and Empire is with us again, Glorious Tlan with its pageantry and its thousand Wizard-Kings, ruling the world in opulence beyond compare. Centuries heap upon centuries, with their heroes and dreams, disasters and laughter. Gone and forgotten in the abyss of time. Yet those ruins around you, the names you choose for your children, the songs they sing? Listen! Can you not hear the voices of Tlan? The Deeds of Gebrahil, first of the Wizard Kings, and the ill-destined Tolemiks and the Doom of Nayarak which was their curse? All these are the legacies of Tlan, Jewel of the World, and its downfall. Doubt not the truth! Fragments are all that remain of what went before. Fragments that speak of war and conquest, empire beyond compare. Who can help but be enchanted by names like Umbris, Pal-Goyar, the Empires of the Sea Lords and the Middle Sea? Who does not shudder with dread while poring over the scriptures of the Torture Empire and the desecrations of the Sky Raiders? Who does not ponder what were the Glories of Az Ein? The Chronicles of Future Earth – Cosmic Fantasy Roleplaying in the Post-historical Age. An epic new roleplaying game from Mindjammer Press, Kickstarting September 2018. Come and join our Google+ group today! 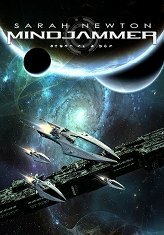 « Mindjammer Press at GenCon!